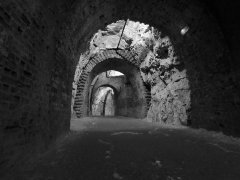 Experience a night of ghost hunting at Fort Amherst, Chatham, Kent with Ghost Hunt Events on 24th August 2019, 8:00pm until 2:00am. Tickets £45 per person. VIP tickets available at Fort Amherst for £10 extra per person, see VIP info for information. 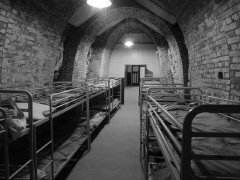 View all our evidence from Fort Amherst. 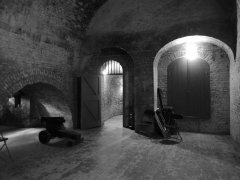 Read our Investigation Reports from Fort Amherst. I loved it, the table tipping was amazing. Would definitely book another ghost hunt. Amazing night last night at Amherst fort!! Will defiantly be booking another.. so thanks guys!! Last night's hunt was absolutely brilliant, the best so far! Thank you for another brilliant evening, loved every minute of it. Thank you and the team for a really great night out! I came away feeling that I have made friends with some lovely beings, and not all of those still living. The Ouija board was a real joy! For once, the board seem to be really animated! It grabbed our attention right from the start by spelling out my daughter's surname.